for the second time during the week. since morning and we all took blessings of Andavan and had lunch there. at 3pm and when my brother went to wake him up he was cold and lifeless. true sense attaining ACHARIAYAN THIRUVADI. I never thought I will write this in my blog since i started posting. And to tell about the hospitality that prevailed in their blood. One should learn how to treat guest from them. I have no words to explain how humble he was and led a simple life. 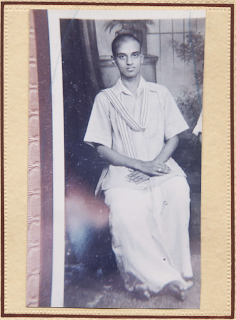 devotee of Kanchi Varadaraja Perumal. were taken many years back. for the benifit of all my cousins in my next blog. He who is free from malice towards all beings,friendly n compassionate,rid of "I" n "mine", balanced in joy n sorrow,forgiving by nature, ever contended,who has subdued his mind,senses n body,has a firm resolve..is close to ME..hence appa had a peaceful death...I am sure our parents will bless us n guide us in future..
End of an Era, I would call it. The sense of loss is much greater than we can ever imagine. On Feb 7th, 2010 we lost our beloved grandfather but it is the world that has lost the most selfless person I have ever met. Always smiling and an enthusiast about everything, we will miss him very dearly. I cannot imagine going back to his home and not seeing his happy face ever waiting to see his grandchildren. Although I was not fortunate enough to pay my final respects in person, the least I can do, even in this grave sorrow, is to take away all the good things he has taught us throughout his life. I'm very proud and lucky to be known as "Krishnaswamy's pethi". Miss you Thatha. i felt elated to see thatha who was cheerful and enthusiastic as ever. a disciplined man he was,who bestowed to his pancha ratnas,all the values and virtues. all his intimates n acquintances have more than a reason to feel terrible at his loss. 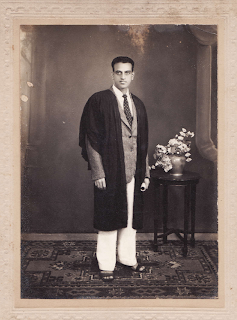 thatha,... i had never xpressed how lucky n proud i considered myself -2 b ur grand daughter. Nice to meet you friend. My heartfelt condolence to your famly. May your dad rest in peace. I know the pain of sudden demise as I lost my dad too more or less in the same way. BTW, very nice blog you have. I will definitely try some of ur recipes. Try posting some pics, it makes the blog interesting. 13th July and it happens to be my dad's birth date. us he had a very easy death and very few get this end. by our blogger friends almost daily.It makes cooking interesting.